Dolpa 14 – Christmas Day! And that first hunky guy? That is the new SD16. Looks a little harlequin romance there? I dunno, but I love the Emma girl above better. But no deep, deep love. Thank GAWD! 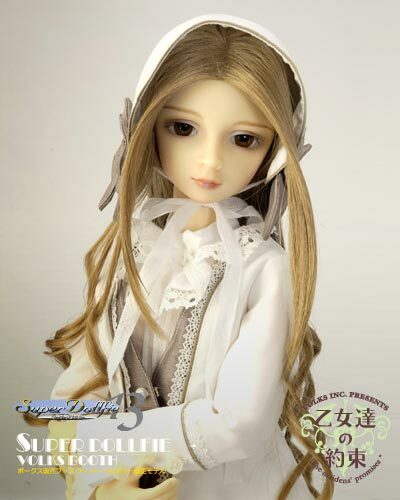 Funny, first thing this morning I was thinking it was about time they posted the LE’s for the December Dolpa, and voila! Cassiel had them posted when I logged into DOA. And remember, Volks promised at the Reception that they would hold an after party in LA this time. Hopefully online and at the store. Good to see more Yo (super mini) molds! Love the leetle girl.